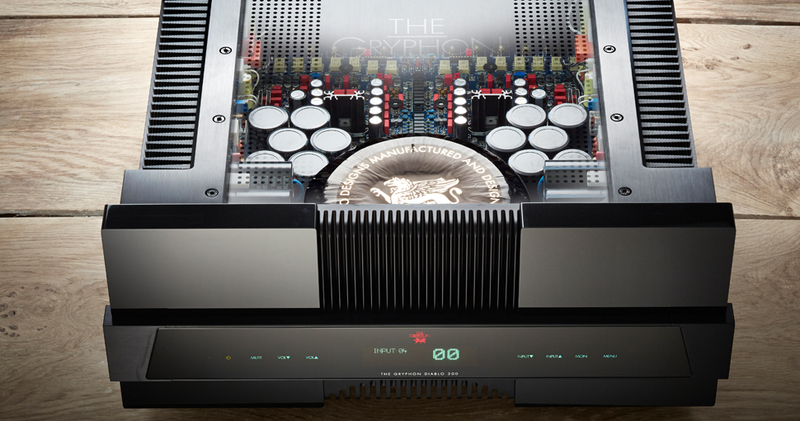 Gryphon Diablo 300, a revitalised iteration of the technologies and components that made it the world’s most award-winning High End integrated amplifier. 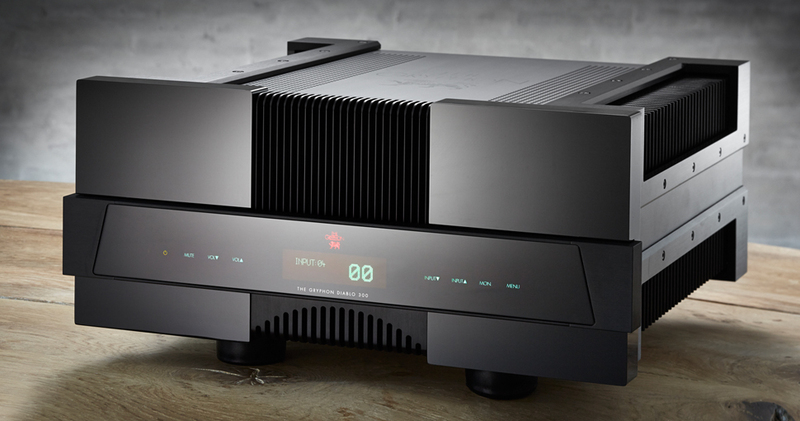 Like few audio components, Gryphon Diablo 300 keeps musical strands and layers distinct, yet cohesive, as it brings timeless art and artistry to your home. Nearly 10 years ago, the Gryphon Diablo brought newfound credibility and respectability to the humble integrated amplifier. 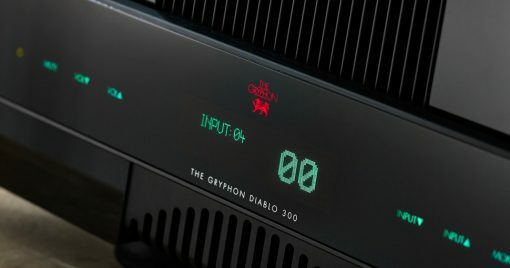 Previously the object of widespread scorn from audiophiles, the full potential of the integrated amplifier was finally realised in the Gryphon Diablo, so far ahead of its time that it – with typical Gryphon longevity – remained the absolute reference in its class for a full decade. 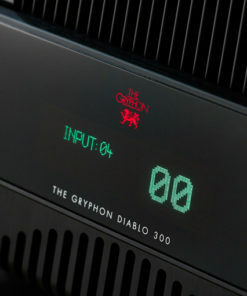 Gryphon Diablo is quite possibly the most popular High End integrated amplifier of all time. Despite sales of thousands of units, its virtual absence from the second-hand market is a reliable indicator of the extreme loyalty of Diablo owners. Now, the Gryphon Diablo makes way for the Gryphon Diablo 300, a revitalised iteration of the technologies and components that made it the world’s most award-winning High End integrated amplifier. In updating the Diablo, the Gryphon engineering team faced a considerable challenge. 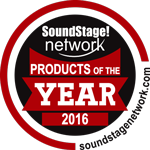 In addition to Product of the Year awards including Lyd & Bilde (Norway), 6 Moons.com (USA) and Haute Fidelité (France), many of the most critical professional listeners have been inspired to effusive praise. 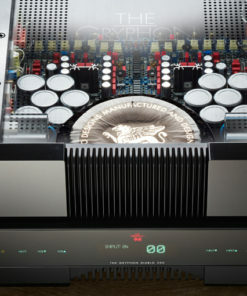 Fortunately, in designing the Diablo 300, the Gryphon crew had the luxury and privilege of being able to draw heavily on concepts, components and technological breakthroughs that emerged during the evolution of the much lauded Gryphon Pandora preamplifier and Mephisto power amplifier. The ultra-transparent, fully balanced volume attenuator topology fully exploits the two balanced inputs. Unlike the vast majority of solid state volume controls that typically introduce dozens of resistors in the signal path, the Diablo 300 employs no more than two for any given level setting. The extreme wideband frequency response of the Diablo 300 extends from 0.5 Hz to 350 kHz and its prodigious 300 Watt (8 Ohms) power output capability represents a significant increase over the original Diablo. The extreme high current capability of the Diablo 300 allows it to double its output to 600 Watts in a 4 Ohm load and deliver a massive 950 Watts into 2 Ohms. 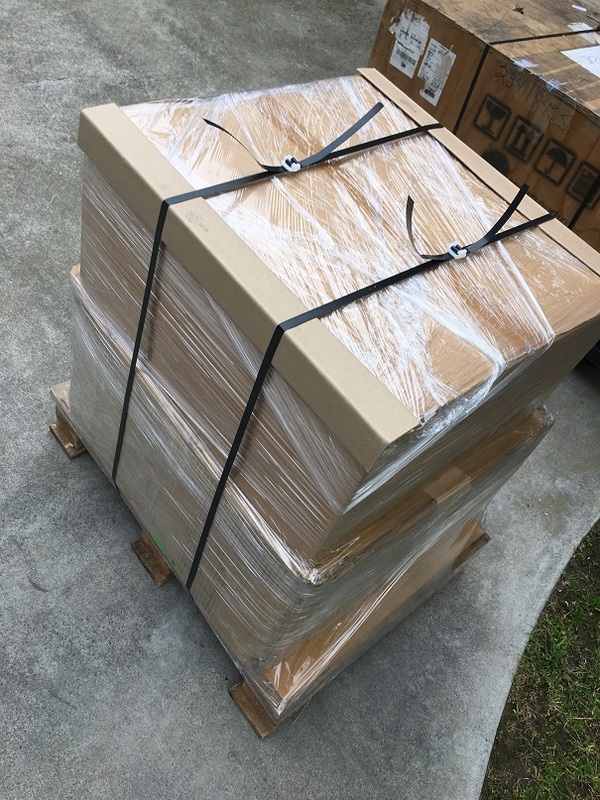 As these numbers confirm, the Gryphon Diablo 300 will remain rock solid when confronted with even the most viciously reactive loudspeaker loads. Diablo 300 maintains a power reservoir capacity of 68,000 microFarad and employs local active shunt regulators for superior noise suppression compared to the Zener diode regulated low-voltage supplies of the original Diablo. 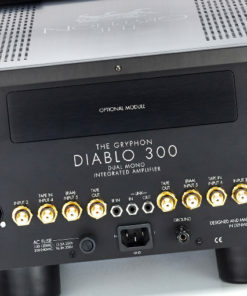 Because it operates without negative feedback, the Gryphon Diablo 300 avoids both the intrinsic time-delay caused by sending the output signal to the input for a comparator loop and the resulting intermodulation distortion between time-offset signals. Further highlights include massive, overkill power supplies, high Class A/B bias, state of the art audiophile components throughout, mounted on military specification dual- and four-layer printed circuit boards with virtually no point-to-point wiring. Diablo 300 utilises new, low-capacitance pre-driver transistors and increased current in the voltage amplification stage for extended bandwidth and increased slew rate. The wire-wound emitter diodes in the original Diablo output stage have been upgraded to non-inductive types. The power supplies for various amplification stages employ only polypropylene coupling capacitors in parallel with high-grade electrolytic capacitors. To dissipate heat generated by the increased power of the Diablo 300, the unit is fitted with twice as much heatsink area as its predecessor. 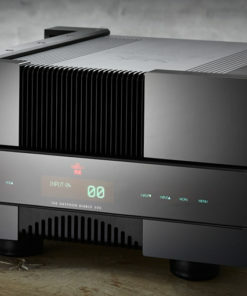 The highly efficient recessed heatsink array is cleverly integrated into the smooth exterior for a stylish statement that takes the Diablo 300 architecture well beyond the realm of undistinguished laboratory styling common to so many High End audio components. 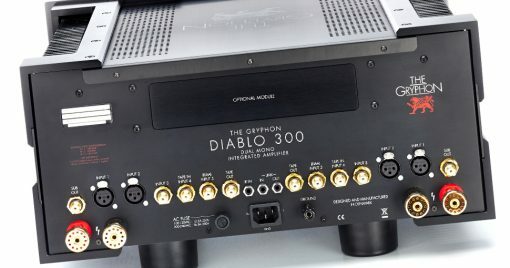 At the time of original purchase or as the need arises at a later date, Gryphon Diablo 300 can be fitted with a specially designed Gryphon DAC PCM/DSD module based on the innovative, award-winning Gryphon Kalliope digital-to- analogue converter. The module adds five digital inputs (USB, balanced AES 115 Ω, optical and dual S/PDIF 75 Ω). USB can process PCM up to 32-bit/384 kHz as well as DSD (Windows OS up to DSD512, Mac OS up to DSD128, Linux OS up to DSD128 DoP). The remaining digital connections can handle PCM up to 24-bit/192 kHz. And, in the finest Gryphon tradition, the Diablo 300 offers the option of an exceptional MM/MC phonostage for the dedicated enthusiasts who continue to enjoy the musical treasures etched in the grooves of the long-playing, black vinyl disc. Despite its substantial size and heft, the satin black, brushed aluminium chassis and gleaming black acrylic faceplate of the Gryphon Diablo 300 exude luxurious elegance that will enhance any interior. Form and function come together as the non-magnetic, non-resonant chassis and isolated power supplies for pre and power stages and control and display functions shield against interference. The Gryphon Diablo 300 is controlled via an intuitively simple touch-sensitive front panel user interface and a software-based menu display that allow the owner to customise key functions. Future software updates can be installed via flash memory as they are developed. A large alphanumeric Vacuum Fluorescent Display prominently exhibits the name of the active input and the current volume setting. Personalised input source names up to eight characters long can be assigned in the display. All functions are accessible from the front panel or the striking remote wand. So there are no mechanical parts to wear out or become noisy. Diablo 300 incorporates a full-range subwoofer output and, for use in a surround setup without compromising the stereo performance of the Diablo 300, an AV throughput allows the Diablo 300 to drive the two main channels without the need to rewire or recalibrate the system when switching between stereo and surround operation. Diablo 300 can be configured for automatic level matching of inputs to protect the owner’s ears and equipment when switching between sources with varying output levels. The volume control is linked to the Mute control to prevent increasing volume while the muting circuit is active. 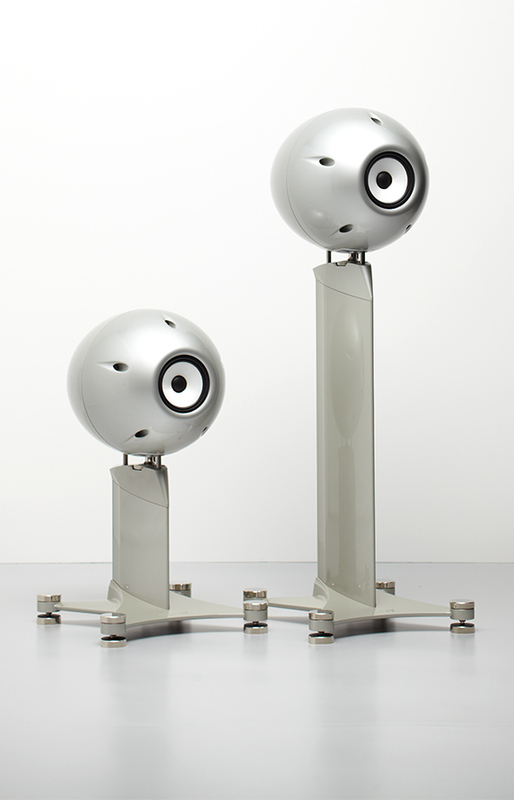 This eliminates the risk of loudspeaker damage through accidental overpowering. For further protection, a fixed start level and fixed maximum level can be selected in the Diablo 300 setup menu. 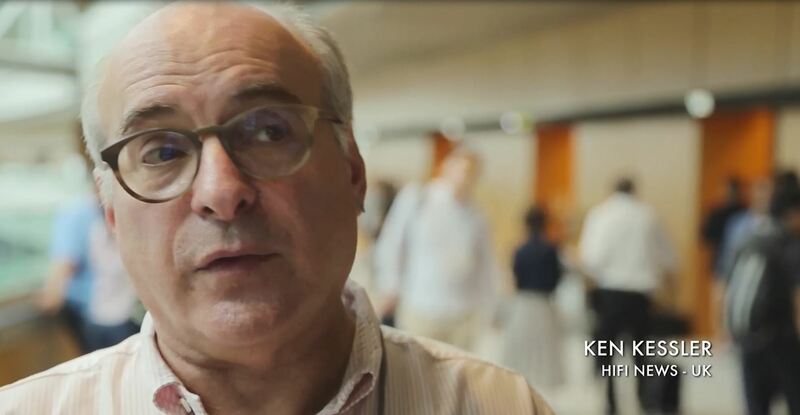 An intelligent, non-invasive protection system constantly monitors operational status and, in the unlikely event of any problem, shuts down quickly and safely to protect your investment. 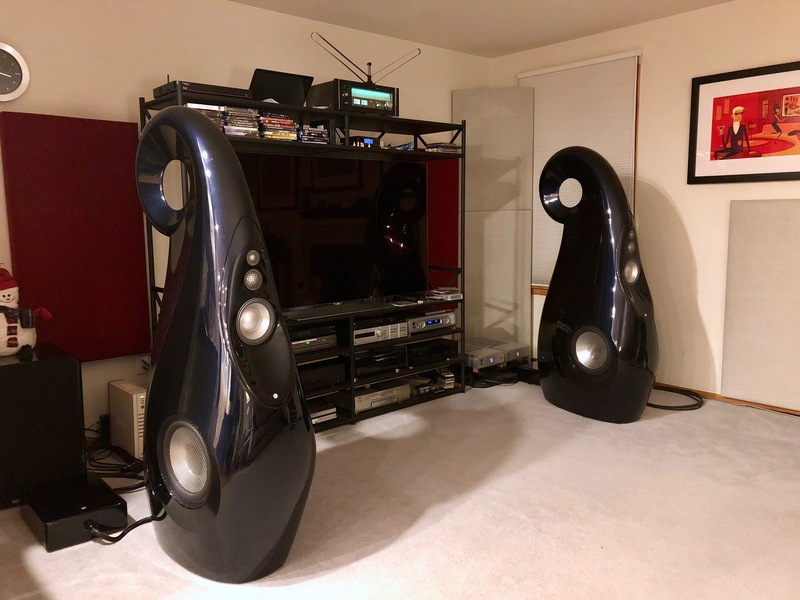 Custom-built Gryphon speaker terminals accept bare wire, spade lugs or banana plugs for a tight, reliable connection and 12V DC link inputs and outputs are provided for integration with a home automation system.